A book about cross-cultural differences... The place Bailey's Gym, Los Angeles, California--6am--the fall of1999... From a bourgeois neighborhood in Beirut to the schools of the streets of Europe and the United States, the story takes you on a journey of self-exploration and transformation that goes through weight rooms, boxing rings, libraries and the stock market. Relentless,unconventional and independent; these successive experiences yield immense benefits for personal development. Your life is not set in stone, it's a gift for which the first page is carved in your DNA and the rest is yours to pen. When history fades pale next to our daily trials and tribulations, survival comes from a boundless, insatiable thirst for learning, social justice, as well an iron will for breaking up with tradition, and walking the unbeaten trails drawing our prints in the dust and mud we all come from. KLEPTOMANIAC, Who's Really Robbing God Anyway is a trek through the pages of the Bible to find the untwisted truth about the centuries-old teachings on tithes and offerings. 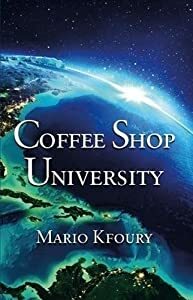 Every page of this book has information that will make you become an analyst in getting to the bottom line of what tithing is in the Old and New Testament. It takes you on a journey to first define the word tithe and then breaks down the differences between giving and tithing as the Bible instructs. Since money is vital in every part of society and the church, this book spends a considerable amount of time detailing how money was used in the Bible to help readers know the difference between tithes and money. The tithing phenomenon has been around for centuries and this book is an expose' into the how the current doctrine came into existence and who the culprits were who played a major role in what churches teach today. 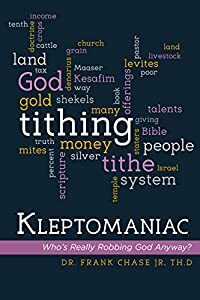 Whether you agree or disagree with tithing as a viable doctrine, KLEPTOMANIAC is a back to the past look at Israel's history and how they practiced tithing in a theocracy. Drawing on mythical and spiritual traditions from almost every culture, Dr. Azra and Seren Bertrand reconstruct the moon-based feminine mystery teachings of a lost global Womb religion, tracing the tradition all the way back to the Neanderthals and beyond. They explore how these teachings were encoded in the symbolism of folk and fairy tales; the legends of the Holy Grail; the traditions of Mary Magdalene and Sophia; the maiden, queen, and crone archetypes; and the teachings of alchemy and the chakras. They show how sages and shamans across the globe all secretly spoke of the Cosmic Womb and the sacred creative powers of Moon Blood. 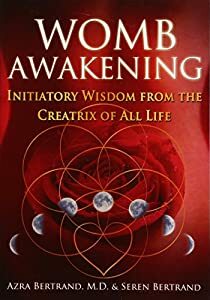 The authors look at the power of the Moon and its connection to sacred Womb Consciousness, offering meditations and practices to help awaken your spiritual Womb and activate its sacred magic of creation and manifestation. They explain how to activate the energetic gateways of the Womb and merge the heart and Womb to make sexual union the highest sacrament of love. Access is also provided to 3 audio journeys. Revealing how we must reconnect with the Divine Feminine to rebirth the Divine Masculine and restore balance to our world, they show how, as we reawaken the powerful ancient path of the Womb Mysteries, we help return our world to harmony with the wild, untamed creative flows and cyclical rhythms of the cosmos. Why does an ancient Egyptian obelisk celebrating the god of the sun stand in the centre of St Peter's Square in Vatican City, the home of the Pope and the heartland of Catholicism? Taking this mysterious fact as his starting point, Tony Sunderland examines the history of religious belief in an attempt to understand how what has happened in the past continues to exert a ghostly influence in the present. Going right back to the voluptuous mother goddess figures of our ancestors, the pantheons of the Greeks and Romans, the wisdom of the Hebrew Bible, the birth of Christ, the radical heresies of the Gnostics and the Esoterics, the consolidation of a Catholic orthodoxy and the Protestant revolution, Sunderland traces a history of ideas that shines a light on how and why belief systems are constructed and the role they play in providing meaning and order in a dangerous, volatile world. Over this long and fascinating history the figure of the first monotheist, the ancient Egyptian pharaoh Akhenaten, casts his long shadow. "Where did we come from? Why are we here? What happens when we die?" Many alternative explanations of how 'things came to be' in the Western world have either been ignored or suppressed by dominant and overpowering narratives of what can be termed as consensus history. This book blends the orthodox view of Western history with alternative interpretations and propositions of historical events. 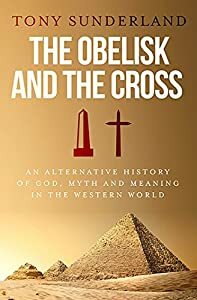 The metaphors of the obelisk and the cross have been used to illustrate the interdependent relationship between the 'other' and the 'orthodox' respectively. One cannot dominate the other; rather they can only be defined through an understanding of what they are not. Only then, can bridges be made to create a vision of 'what could be'. 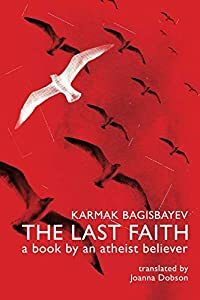 ""The bleeding of different belief systems into each other is a very important issue to understand, especially in our rather divided modern world in which religions have become enemies all over again."" I wrote this book because I want to help people understand Islam. This is not an attempt to spread a religion or to denigrate it. I offer it as a gift to anyone seeking to bridge the gap in their understanding of Islam. In the end, education and understanding—and acceptance of other cultures—will unite the world against hatred. Let this be a part of that education. This book is intended for audiences that have very little familiarity with Islam, the Qur’an, or Muslim culture. It also may be beneficial for Muslims that cannot read Arabic but find the current English versions difficult to read. As a student of Islam and frequent wanderer of the broader Middle East region for over 20 years I have had many an occasion to read the Qur’an, visit mosques, and talk with my acquaintances about Islam. I took advantage of every opportunity in my studies to learn about Islam from many different points of view. I also focused on the little-known “Ibadhi Muslims” of Oman in my postgraduate thesis. 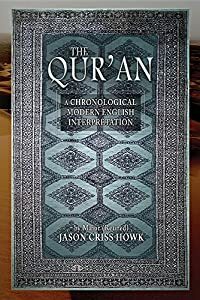 While many interpretations of the Qur’an have been written by Muslims (whose first language is usually not English), those translations are often difficult to read. I attempt here to make an easy-to-read version in an unbiased way using modern English. There are people that feel threatened by Islam as a religion. Some people assume that a Muslim translating the Qur’an into English softens the language to make it more pleasant and less threatening, so they can spread the religion. Other interpreters are even suspected of making the passages sound like God is condoning unlawful violence. On the other side of the equation, many translations or analysis of the Qur’an are done by non-Muslims that seek to find faults in the messages of the Qur’an or vilify the entire religion of Islam. I seek a middle ground here. My sole intent is to show people what is and is not in the Qur’an and thereby, strictly speaking, what could be expected from a Muslim that adheres to the majority of the teachings of the Qur’an. I think most readers will find that, like all religious people, not all Muslim adherents follow the teachings of the entire Qur’an. Readers' Favorite 2017 International Book Awards Winner and Beverly Hills 2017 Book Awards Winner in Philosophy category. Can the world without violence exist? If not, under what circumstances and to what kind of violence does man have a right? Wherein lies the origin of this right? Does your spirit yearn for a deeper experience of life? Do you long to feel understood by others? Do you wish you were happier? Do you need a new solution to the same old problems? 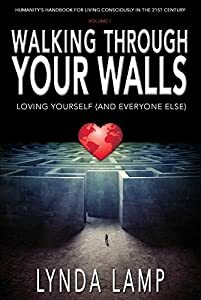 Then Walking Through Your Walls may be the handbook to life that you ve been looking for. It s time to walk through the walls that have been holding you back. Now there s a handbook to show you how! That's exactly what happened to Clifford Michaels, a Wall Street investment advisor, who never believed the "afterlife" existed. Everything changed after a brush with kidney cancer that set him on a reluctant path of spiritual discovery. 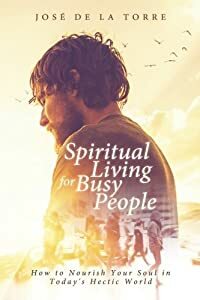 He first denied, then acknowledged, and finally embraced and interacted with "heavenly" forces he realized want to help all of us find our ideal path in life. 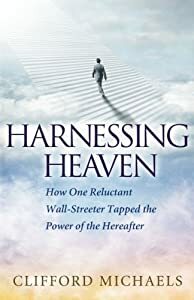 Combining teachings from heaven, and down-to-earth, actionable lessons and strategies, Harnessing Heaven and its core "Seven Principles" opens the door to discovering and mapping out your ideal life path--with confidence, conviction and passion! An honest, insightful, and inspiring story of one young mans struggle to understand his place in the world. Lincoln Gordon writes of his childhood preconceived notions and misconceptions dealing with race, religion, and several different creeds. 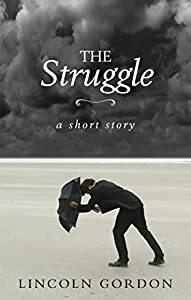 He writes of a struggle that he overcame in order to finally view all of humanity truly as his family. With a humanistic worldview and stoic principles, he suggests ways that we can begin destroying walls and obstacles that cause separation. His struggle is our struggle. We all have an equal stake in the future of humanity.